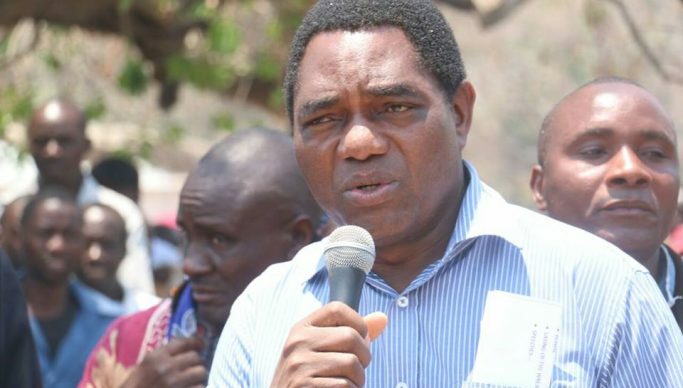 UPND Leader Hakainde Hichilema says the suspension of 74 striking Kabwe Municipal Council workers demanding for their 6 months’ salary arrears stinks of dictatorship. Hichilema said that it has now become a habit to delay salaries for civil servants and other public service employees. He said the PF had misplaced priorities when it came to expenditure of public resources. Hichilema said the cost of essential commodities such as mealie meal, and now with the proposed increase in the electricity tariffs was already unbearable for the majority of our citizens, which was being worsened by delayed salaries. He said the negative effects of such economic problems being inflicted on Zambians was raising crime levels and encouraging corruption in the country, such as illegal sale of land by our civic authorities. Hichilema demanded that the PF regime pays workers on time to avoid industrial unrest.